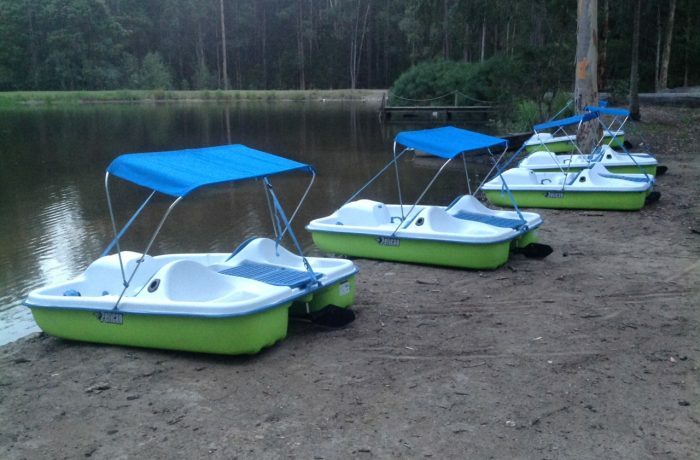 On the outskirts of our Historic village, we have our new pedal boats which operate daily on our lovely lake during NSW School Holidays, long weekends and public holidays. Great fun to race around the fountains and see what you can spot including our resident tortoises and water birds. Please note - this activity is for adults and children over 3 years of age only. Please read our water activity policy prior to boarding. Life jackets must be worn (provided). Please Note: They are not operating April School Holidays due to low dam, they are replaced with tractor rides.